The 1970 Vodka is flavored with nineteen different botanicals has been launched by Ikeda Feingold with the aim to create a ‘ready-to-drink’ vodka aimed at the Millennial market who she described as having a “more sophisticated and global pallet than previous generations”. Bottled at 70 percent proof (35% abv), the vodka is classed under the flavored category but they describe themselves as ready to drink (options are: neat, over ice, shot or mixed with any other spirit). The vodka, which is currently available across on-premise locations across Georgia, credits Asian pear, blood orange, sour cheery, tamarind, lychee, lemongrass, clove, cane sugar and black pepper as just some of it’s nineteen strong botanical mix. 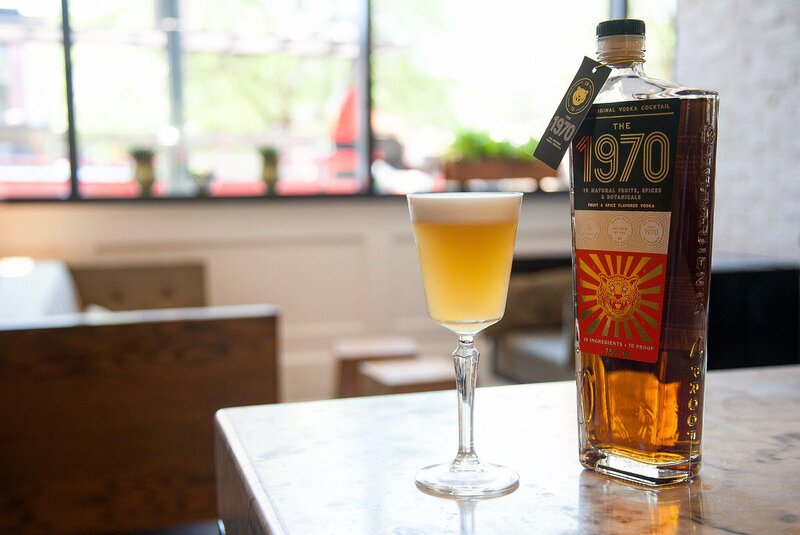 They’ve created a very distinct lifestyle product with The 1970 Vodka with striking bottle design and a number of lifestyle products accompanying the vodka on their website. The launch of the vodka is the first of what we believe will be a flurry of botanical vodkas using natural flavors and seems to be an interesting idea which we look forward to tasting. For more information on the brand here.